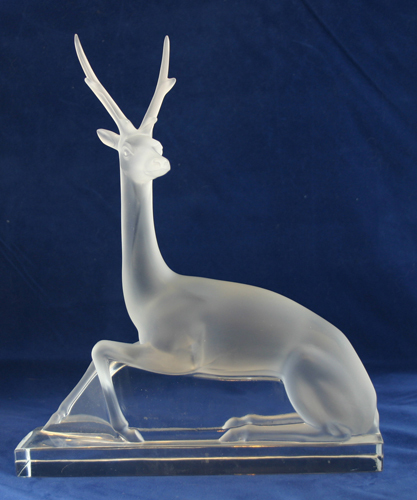 10" tall x 8 1/2" long Lalique Deer. 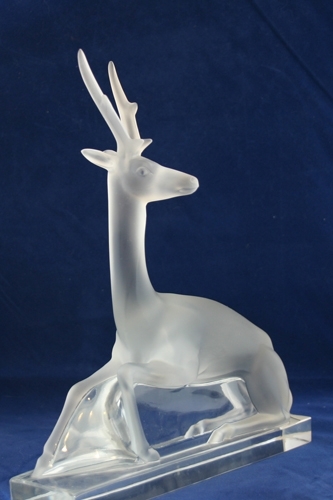 In addition to the deer, you will receive a black rectangular stand about 3" tall. It lights up the deer from the bottom.